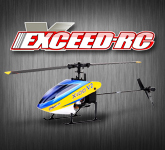 The most famous WII fighter now comes as a 4CH RTF! 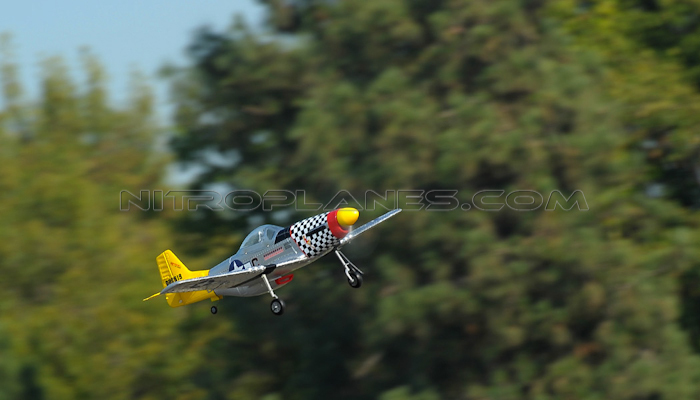 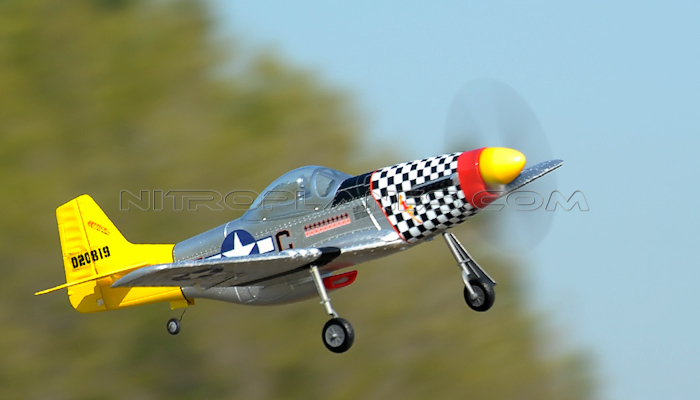 Super detailed scale and impressive flight performance! 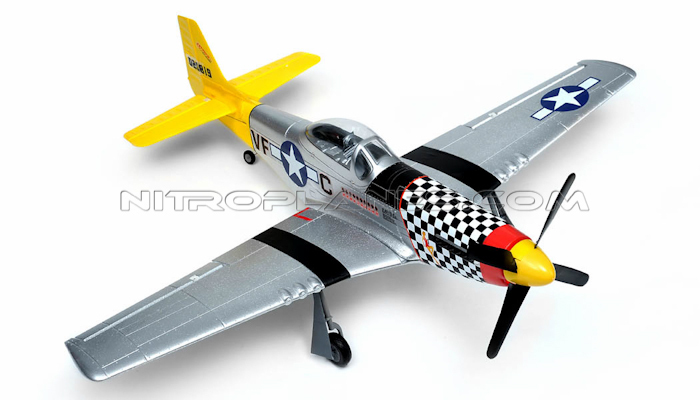 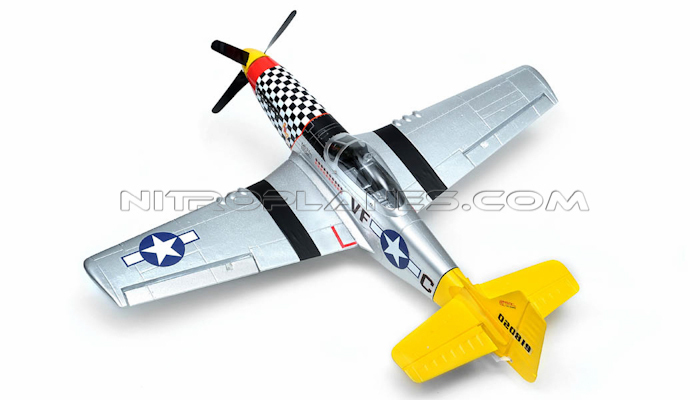 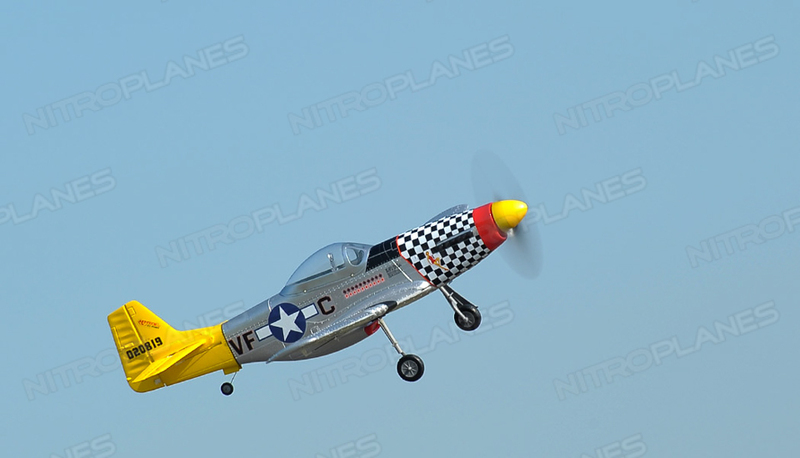 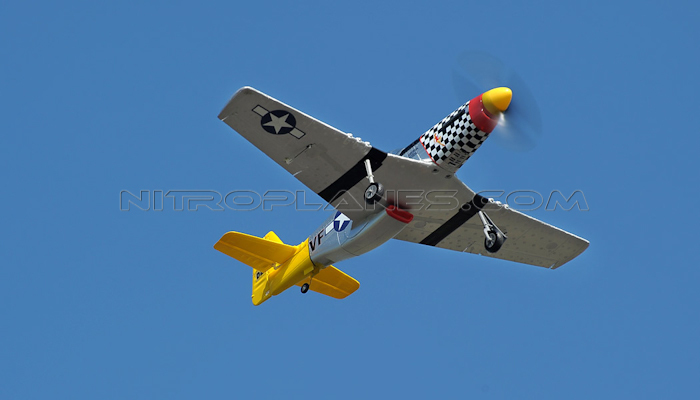 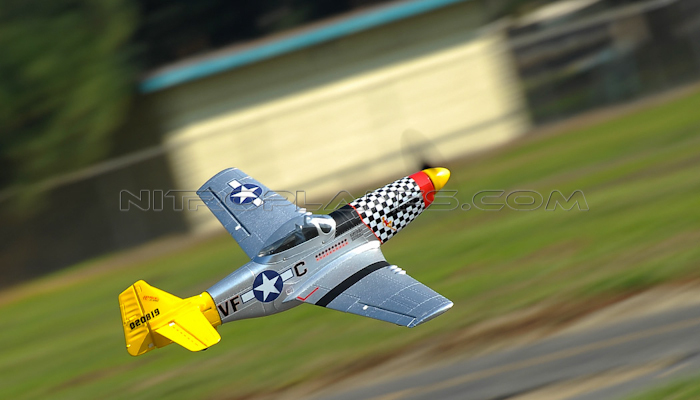 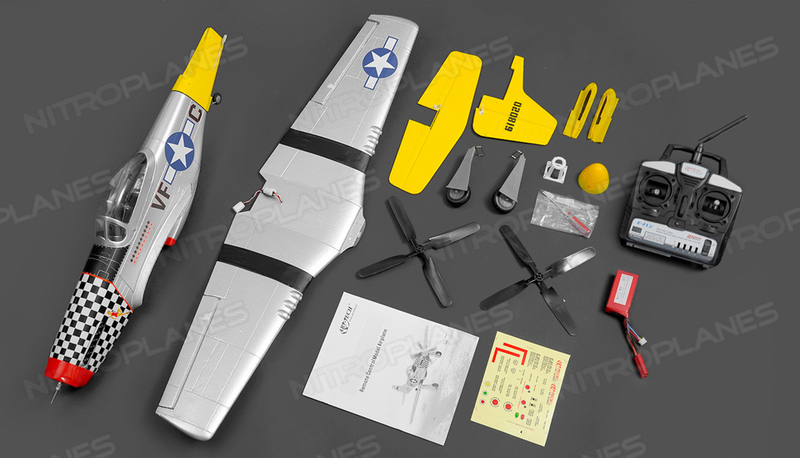 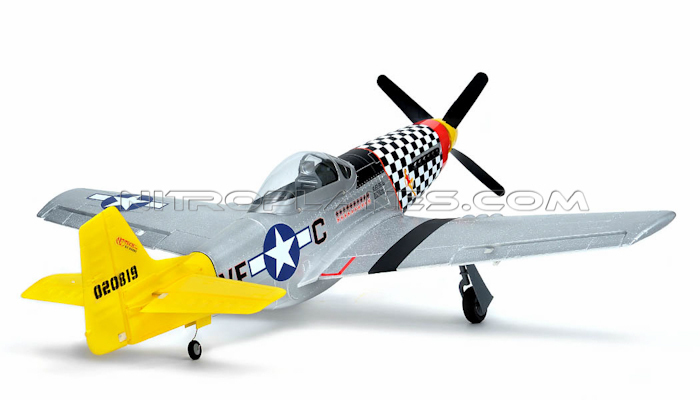 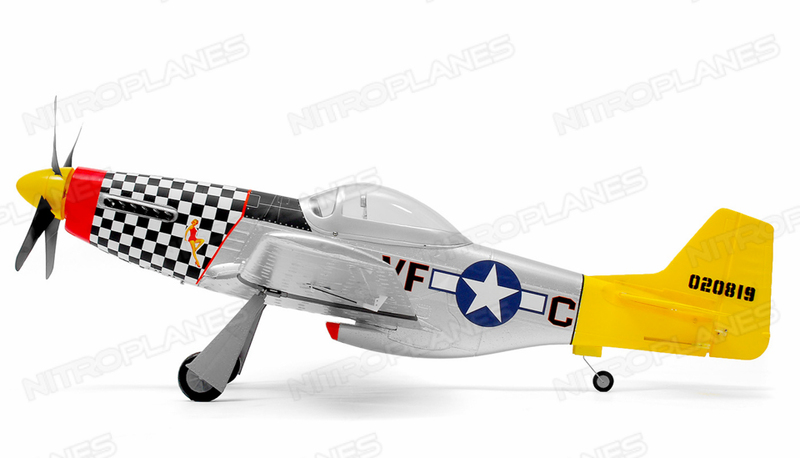 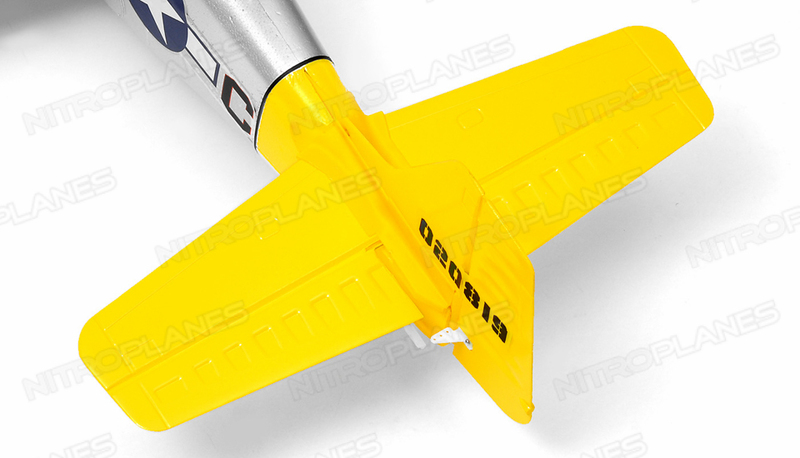 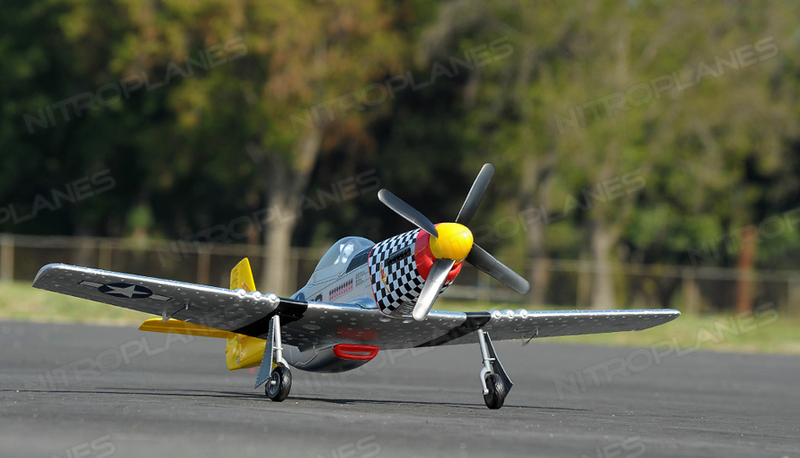 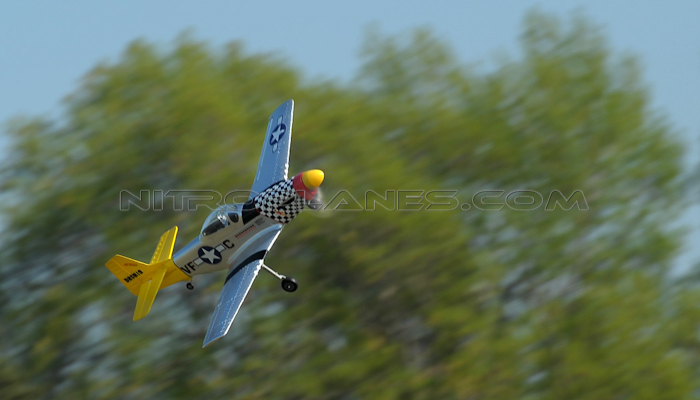 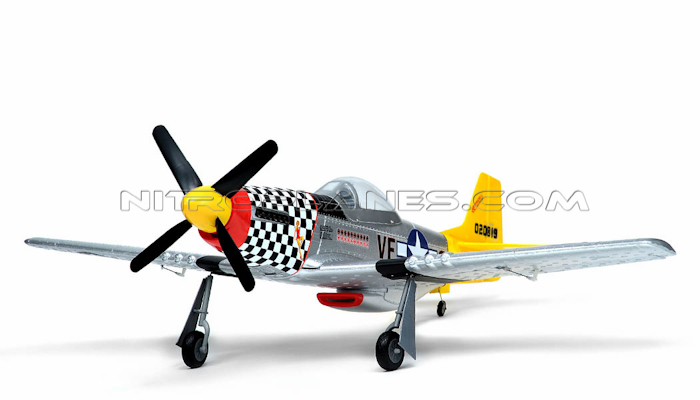 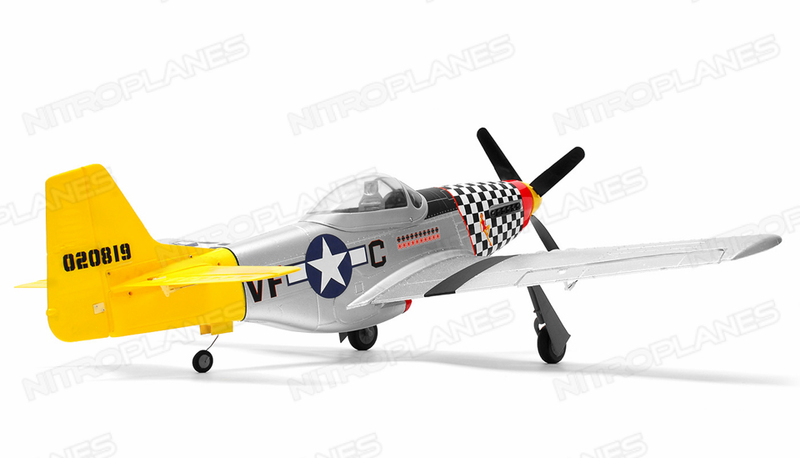 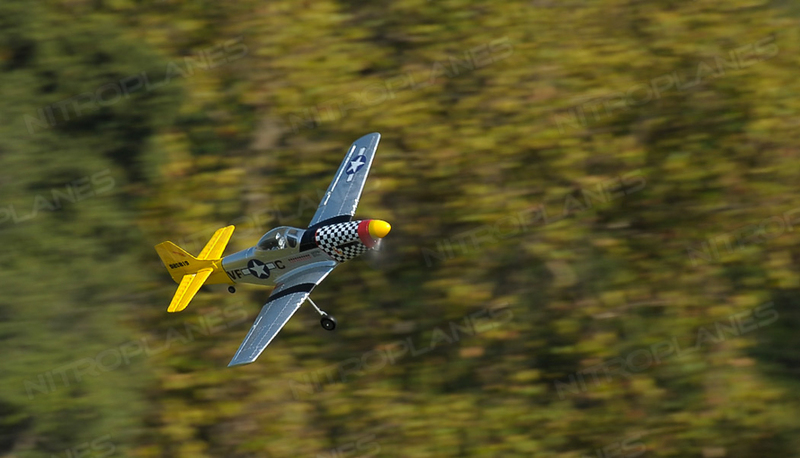 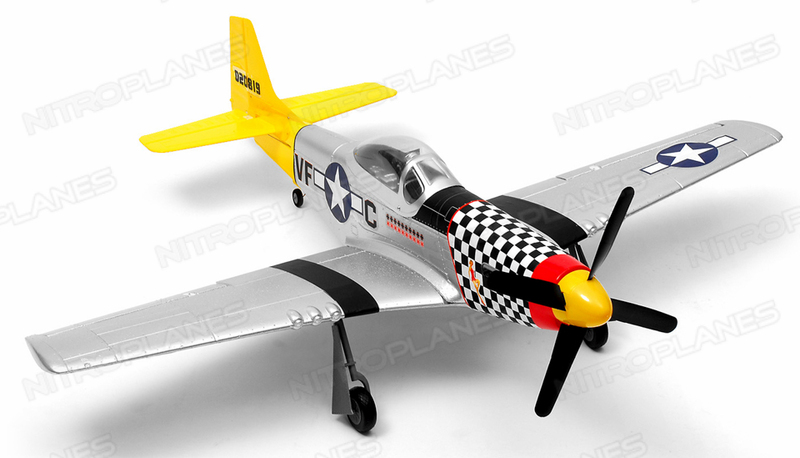 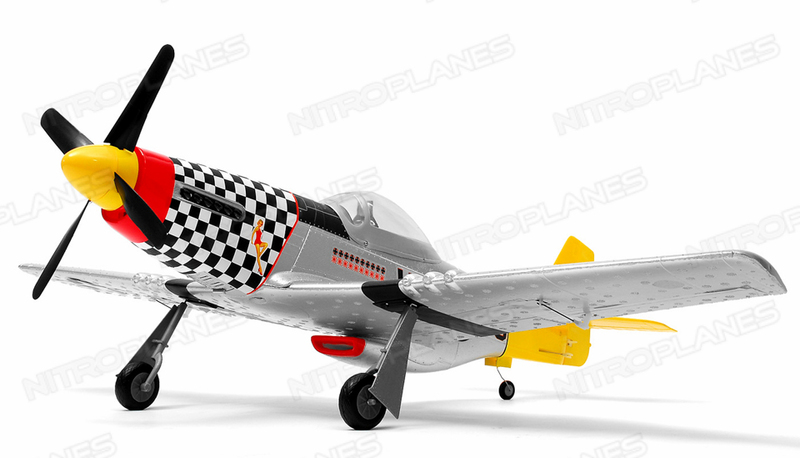 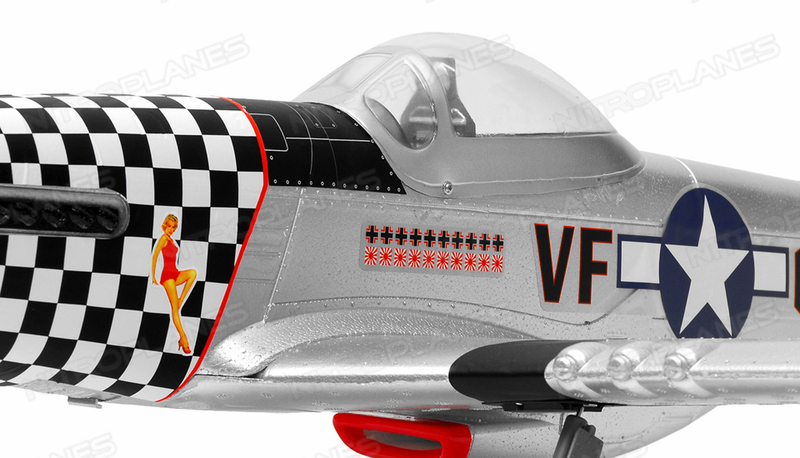 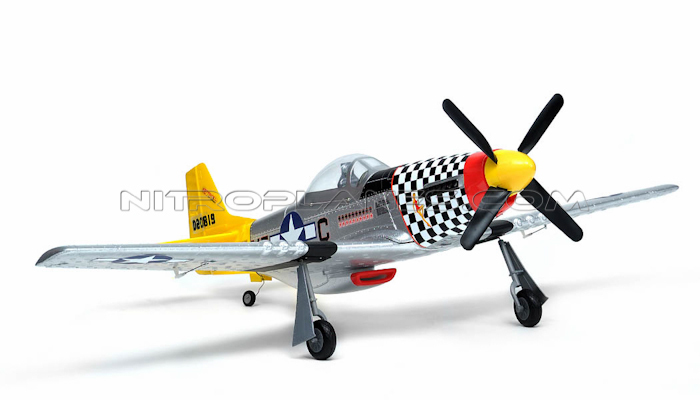 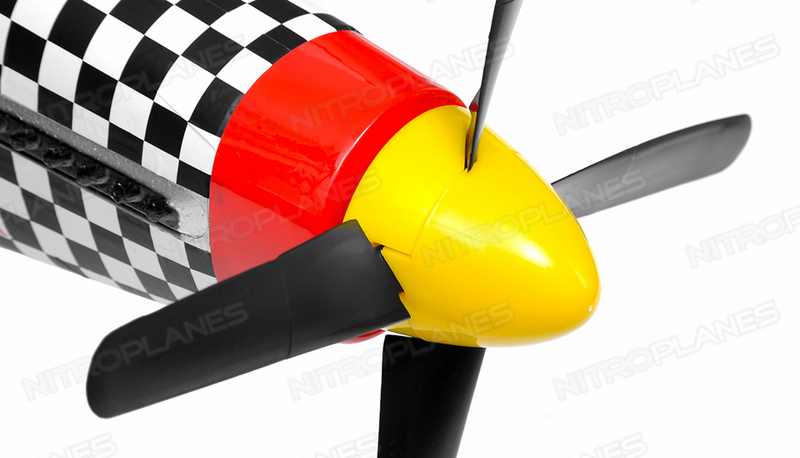 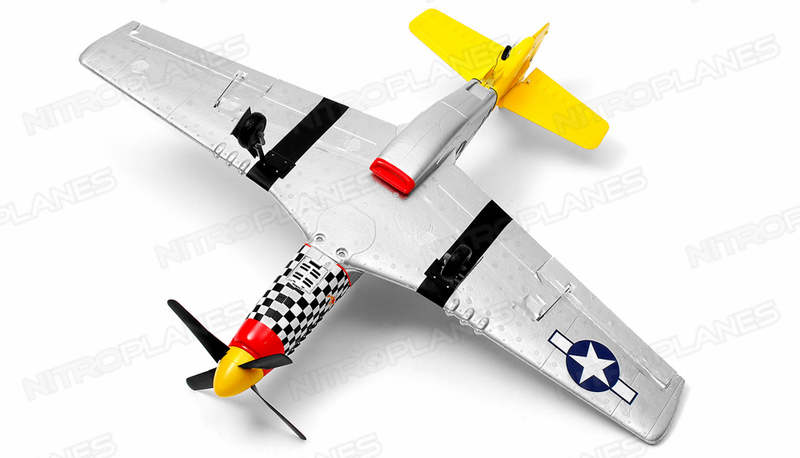 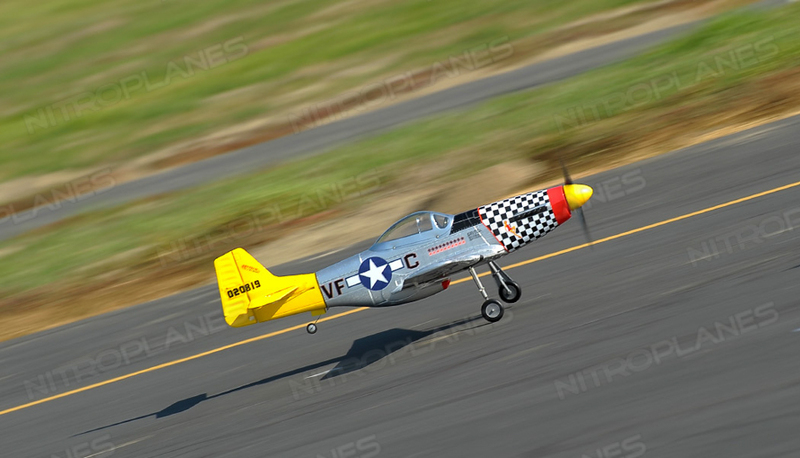 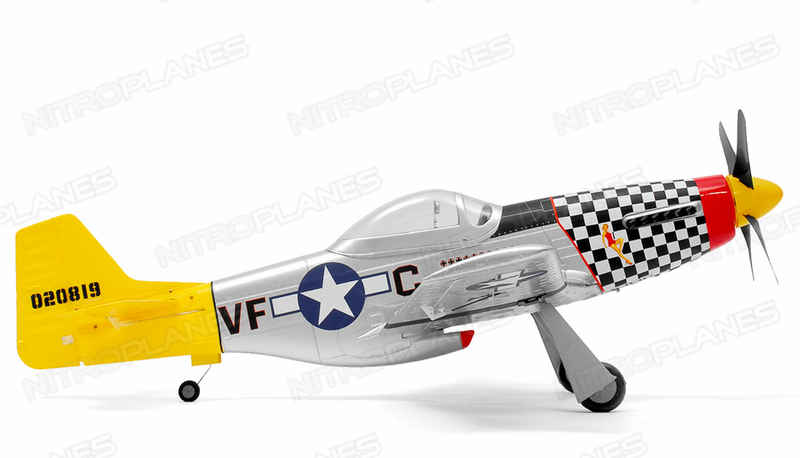 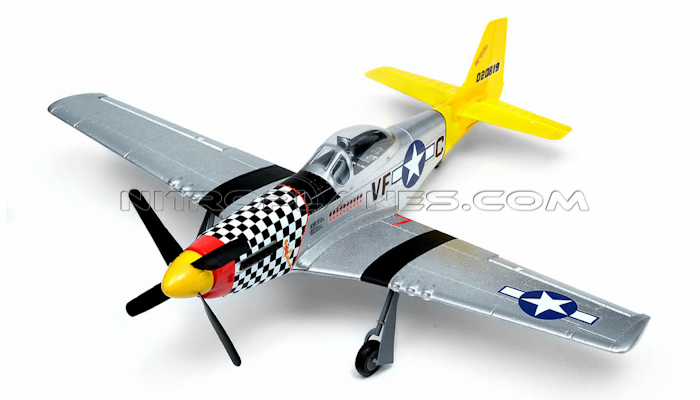 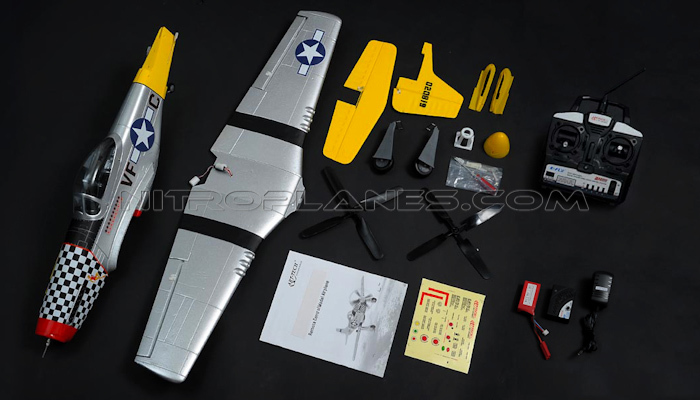 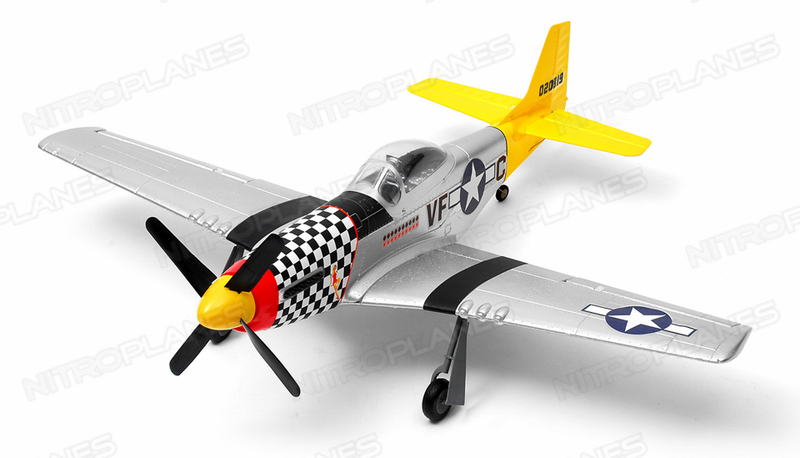 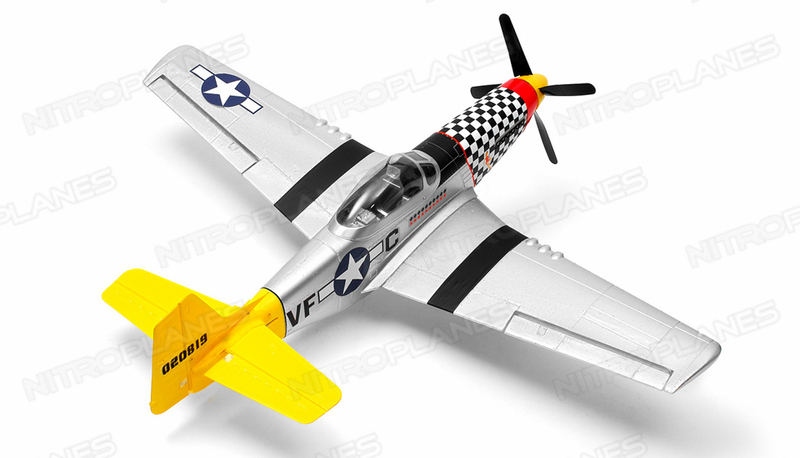 This P-51D Warbird is made by highly durable EPO, meaning it has impact and shock resistant foam construction and easy to repair. 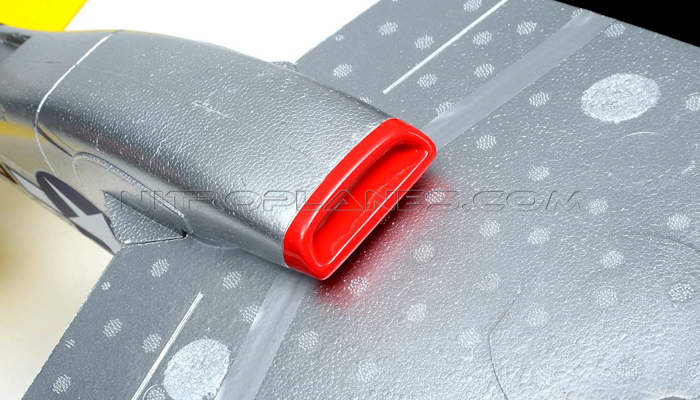 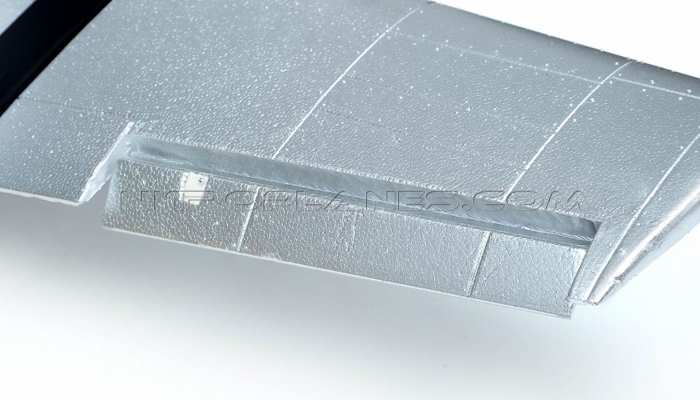 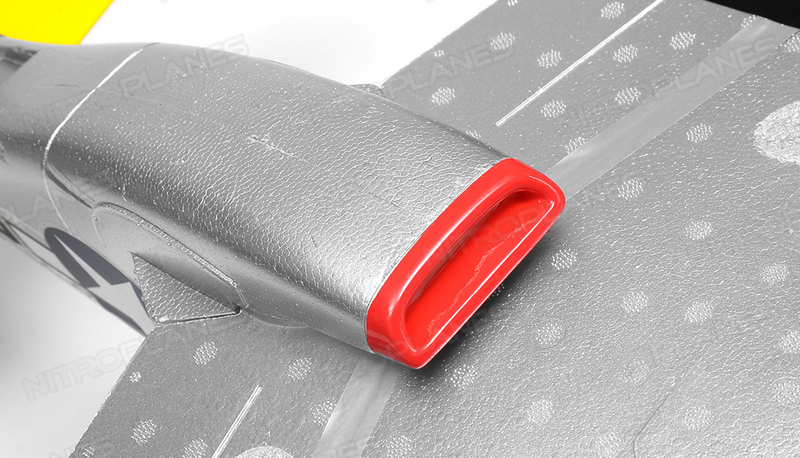 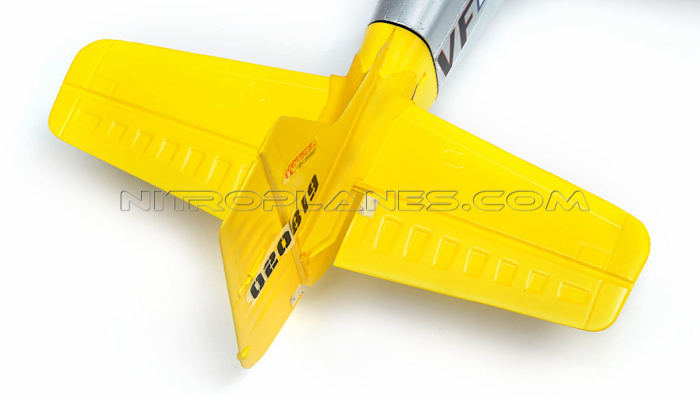 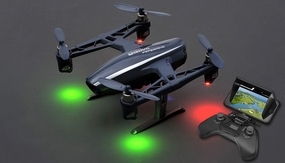 Designed carefully for beginners and advanced users, it provides a stable flight at a stunning speed. 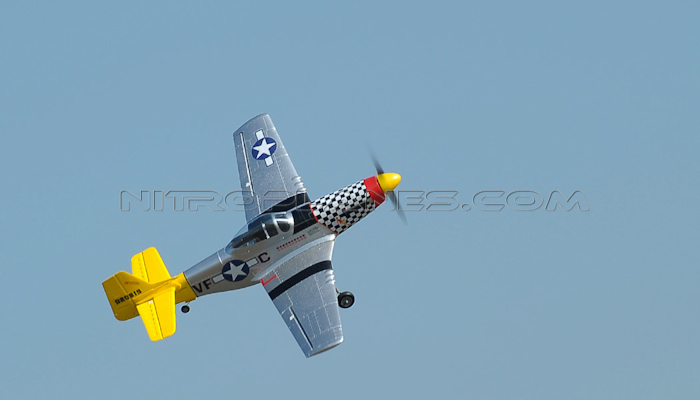 This Warbird looks stunning in the air and closely resembles a real airplane. 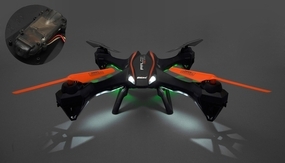 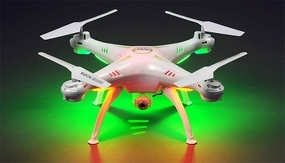 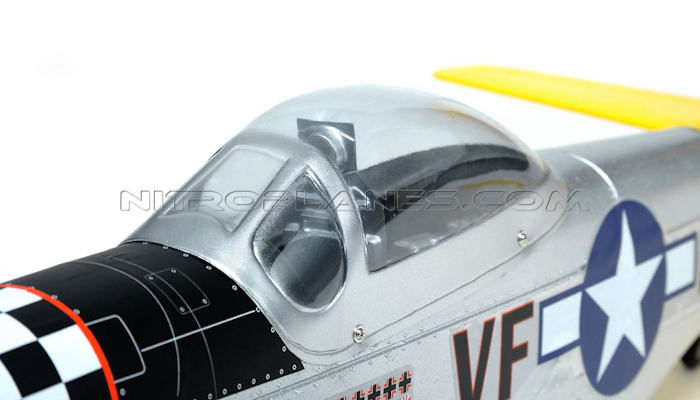 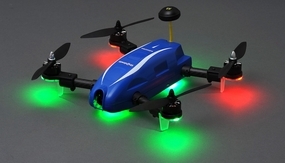 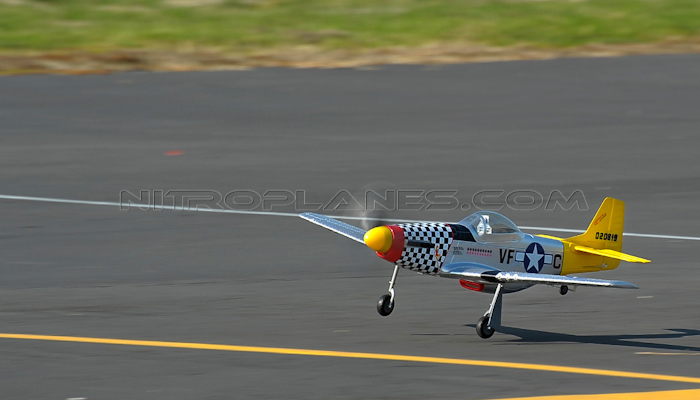 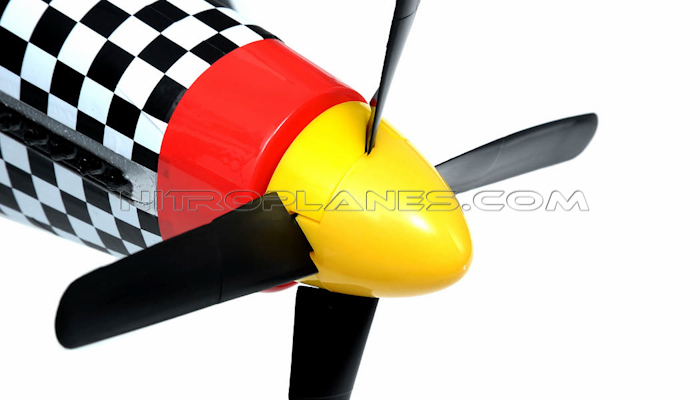 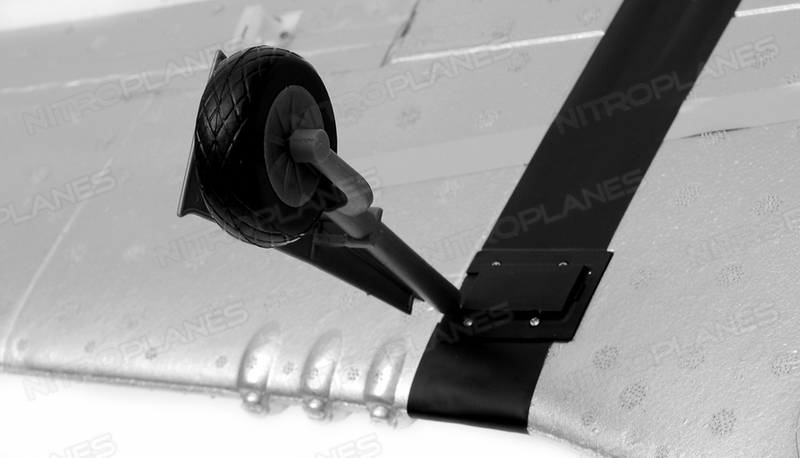 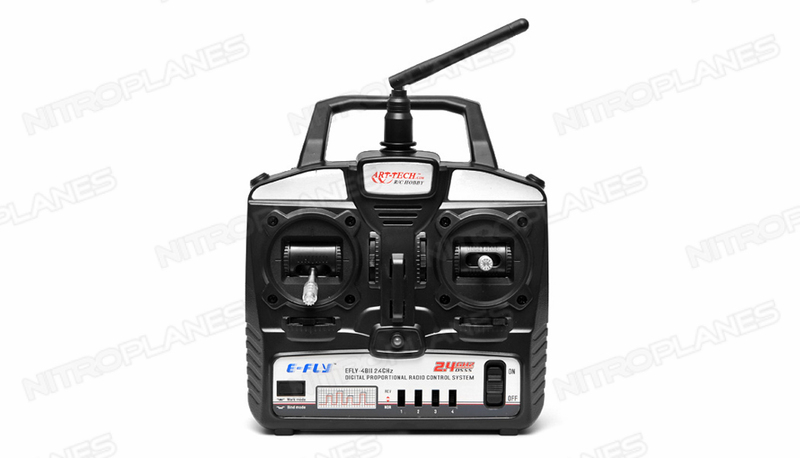 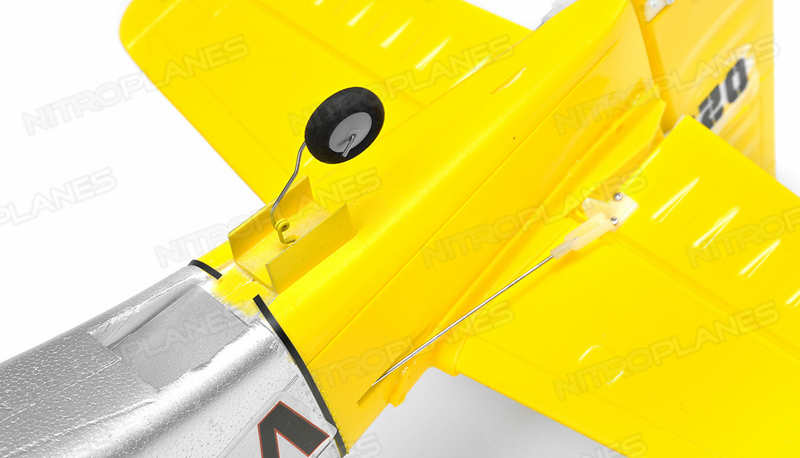 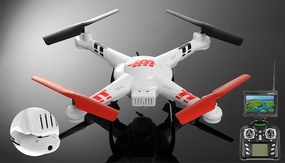 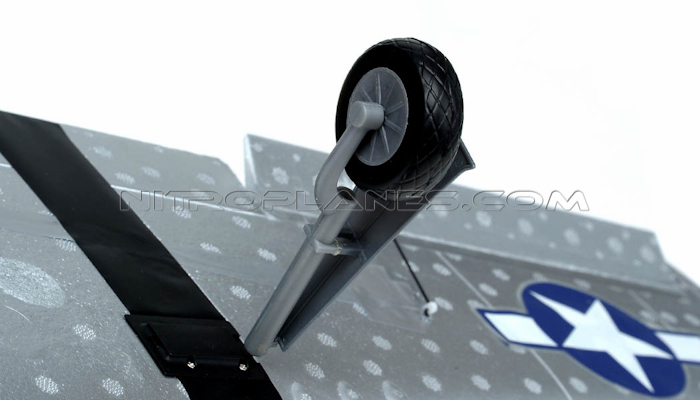 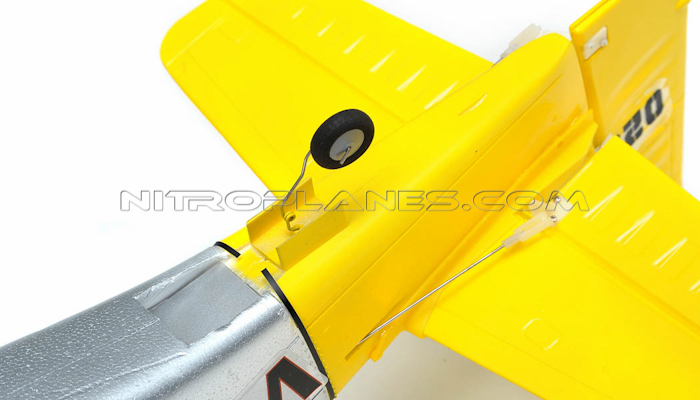 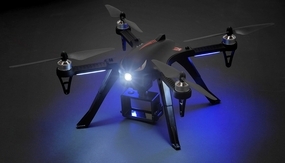 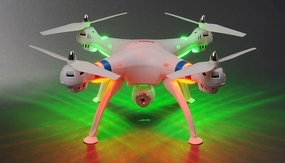 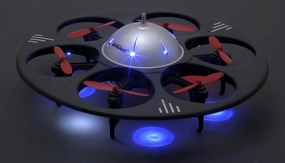 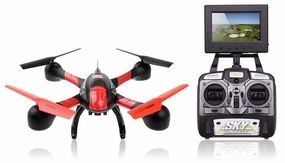 It is also equipped with a high powered Brushless Motor and an advanced EFLY-B2 4CH 2.4 GHz radio system. 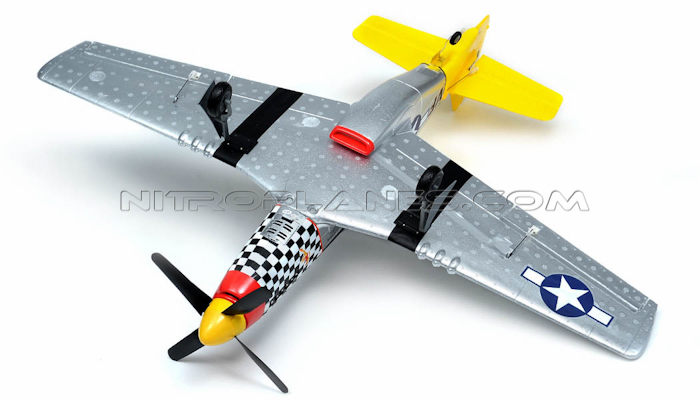 Take to the skies with the fastest and meanest Art-Tech Warbird!